If you have ever been to my house you know that Dean and I don’t keep an organized, clutter free home. My dream house is beautifully decorated with everything ( well, almost everything) in its place. It’s a home where my children won’t grow up surrounded by clutter. So I decided that for the rest of 2012 I’m going to work extremely hard to make my house more the home of my dreams. 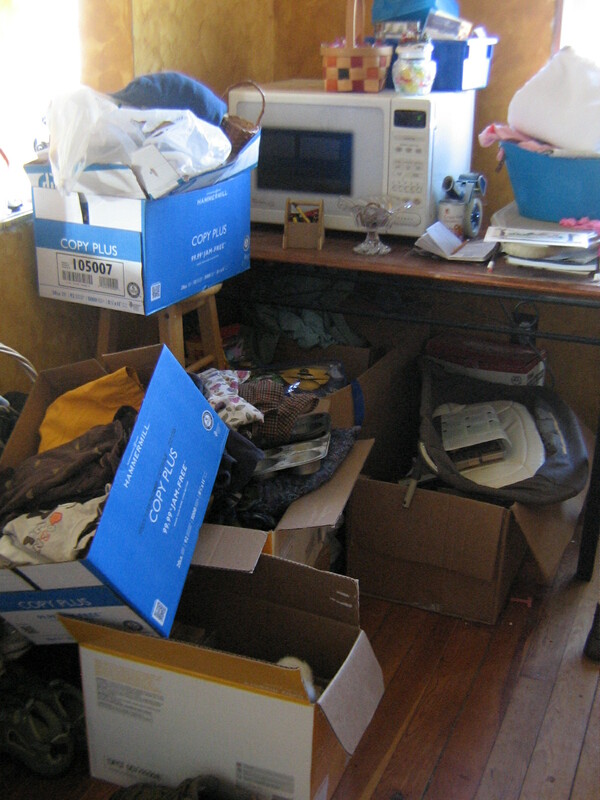 The first thing I’m going to do to put me on the right track is to get rid of about 1/3 of what we own. As an incentive I will be selling these items through various yard sales and the money earned will be used for a family trip to Lancaster The more money I earn, the more things we will be able to do. These are the boxes that are currently in my kitchen filled with items to sell. It’s a good start. Now I just need to take pictures and put them on the fb yard sale sites I belong to. If you are good at being clutter-free or organized please leave a comment with some advice! Getting organized is always so hard! Good luck and please share some good tips if you find some! Sometime when you’re down in the Lancaster area you should let me know and stop by. Once we get the new house, we’ll have a big fenced-in back yard- Ethan would love to have some friends to run around it with him!